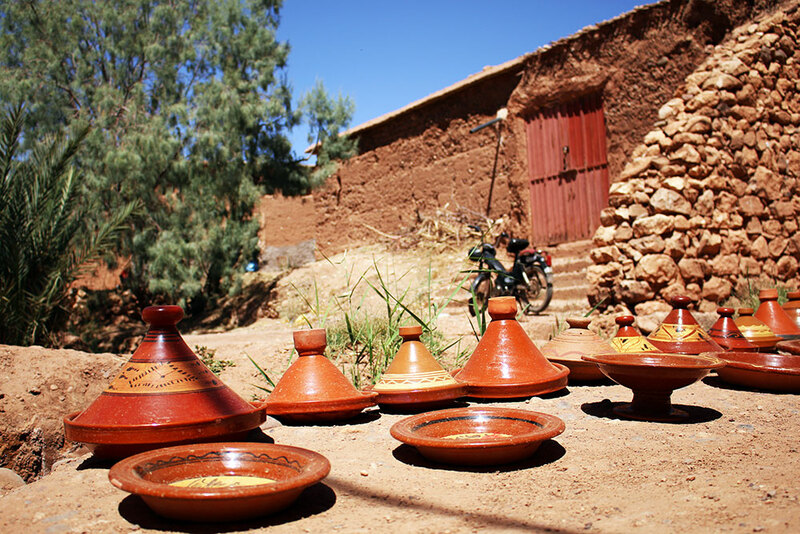 Spending one month backpacking the width and breadth of Morocco, we were captivated by the tastes, the sounds and above all else, the magnificent sights of the country. 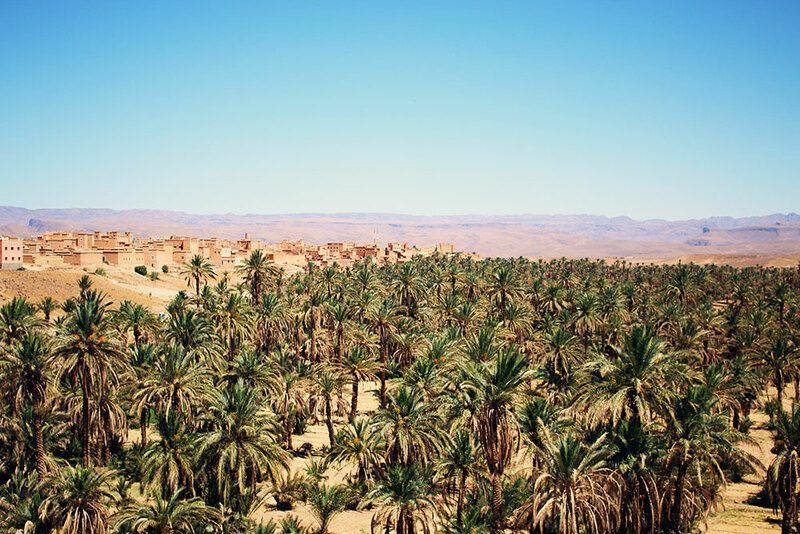 This incredibly diverse North-African nation is home to some stunning sections of coastline, the immense Sahara Desert, the highest peak in North Africa, Berber villages, chaotic cities and landscapes that will make your jaw hit the floor! 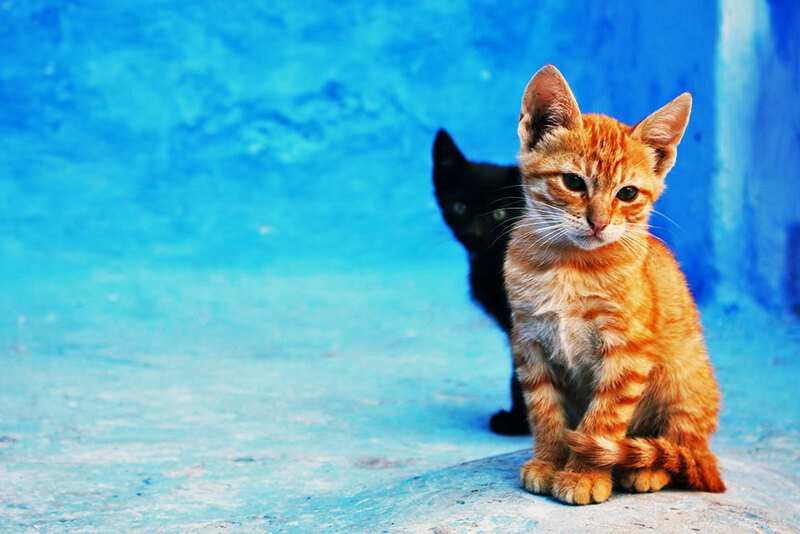 If you want stunning photos of Morocco to take home from your trip, never, ever put your camera away. The light is amazing, the weather is almost always perfect and the scenery is dramatic, alluring and offers contrast like you wouldn’t believe! Travelling through some of Morocco’s most well-trodden destinations like bustling Marrakech, the ancient city of Fez, and Morocco’s premier beach town, Essaouira, we were spoiled with breathtaking views every step of the way. Taking the road less travelled, we explored coastal towns like Assilah, hiked to the summit of Jebel Toubkal in dodgy conditions, made our way as far south as Sidi Ifni and Mirleft and tackled trails in the Riff Mountains outside Morocco’s blue city, Chefchaouen in the far north of the country. The Sahara blew our minds, desert villages like Aït-Benhaddou seemed almost pretend and we ate enough Berber Tagine to last us a lifetime! Here are 27 of our favourite photos of Morocco that will be etched into our brains for years to come. 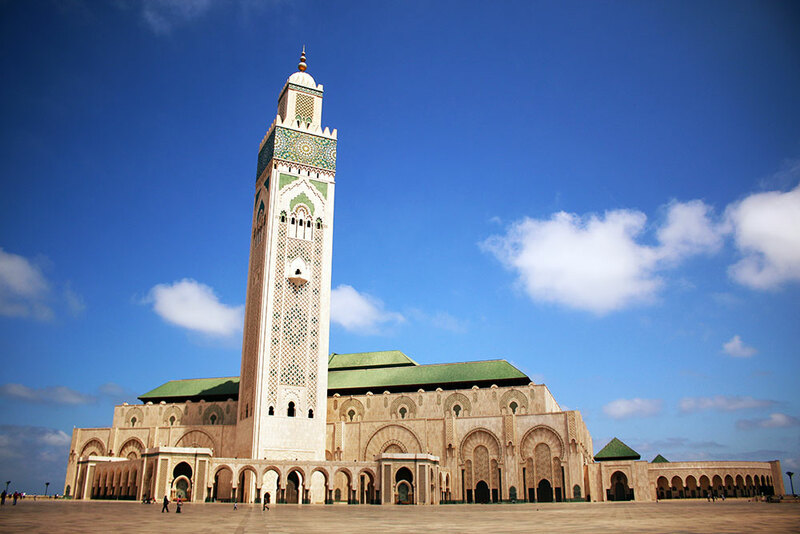 Hassan II Mosque in Casablanca is the largest mosque in Morocco and has the tallest minaret in the world. 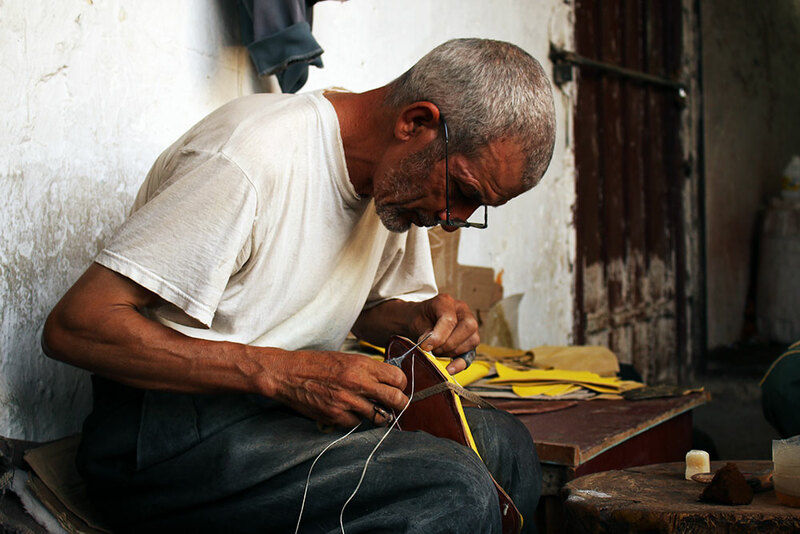 Stitching Balgha, traditional Moroccan leather shoes. 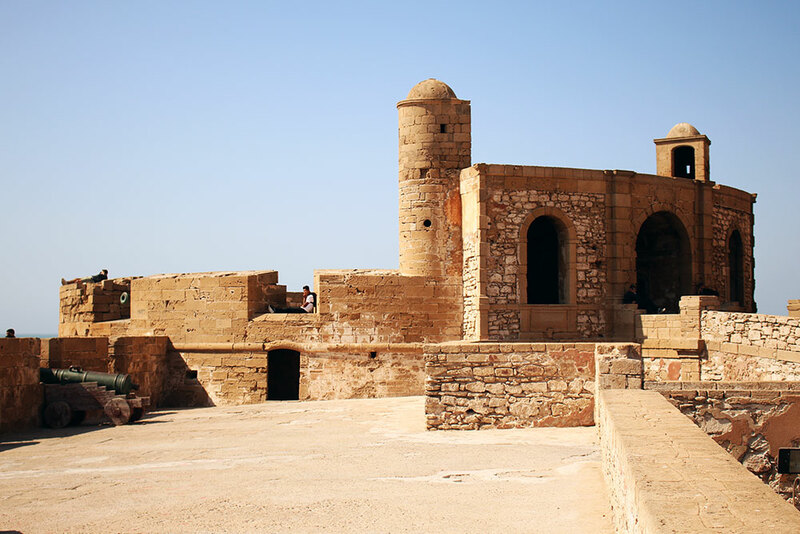 The Essaouira Ramparts where part of Game Of Thrones was filmed. 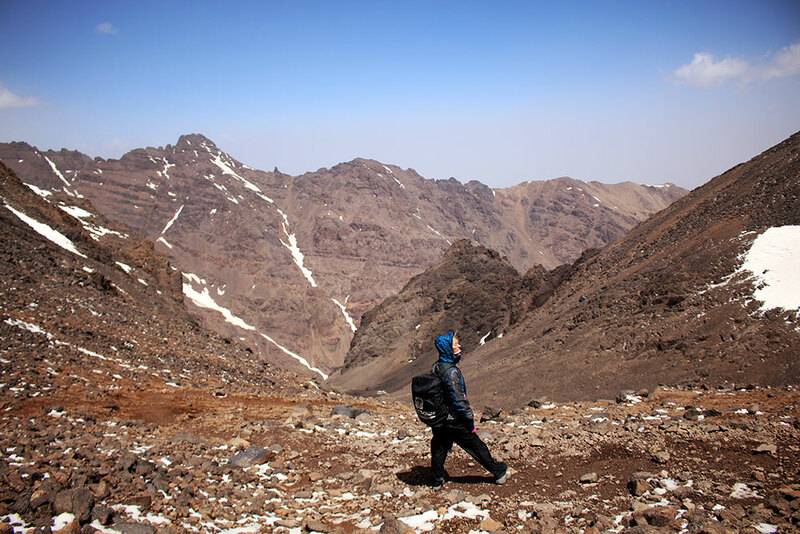 Walking down from the summit of Jebel Toubkal, the highest peak in Morocco and North Africa. 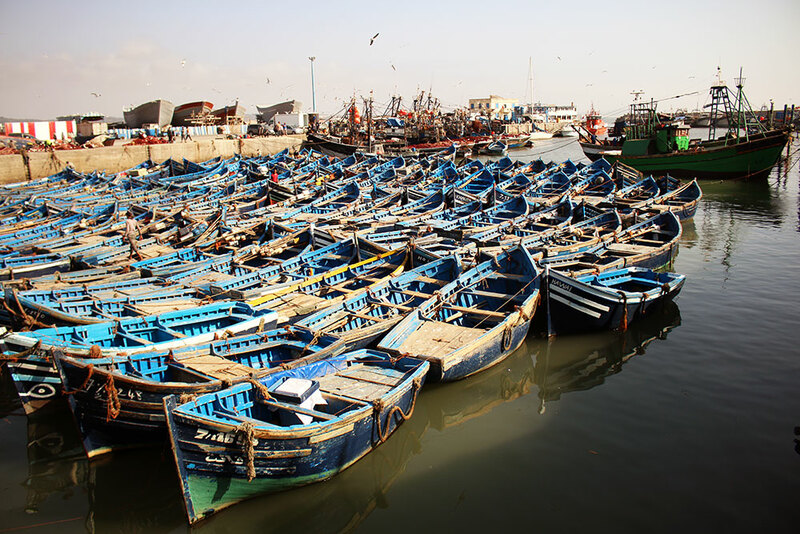 Fishing boats moored in the port town of Essaouira. 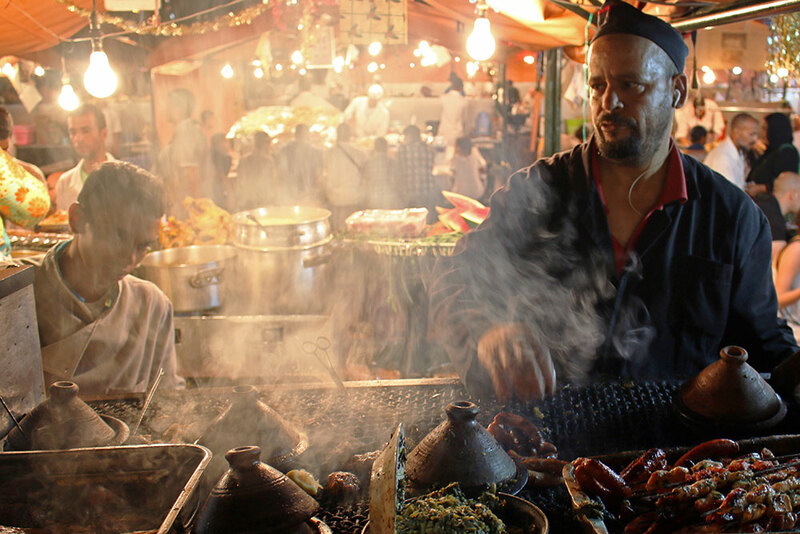 Cooks hard at work in the Jemaa-el-Fnaa nightly food market. 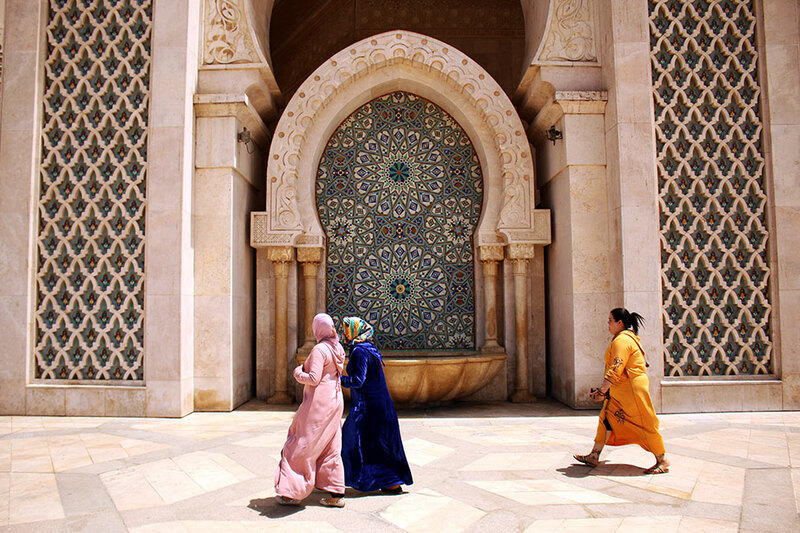 Local women walking past one of the 41 fountains at the Grande Mosquée Hassan II, Casablanca. 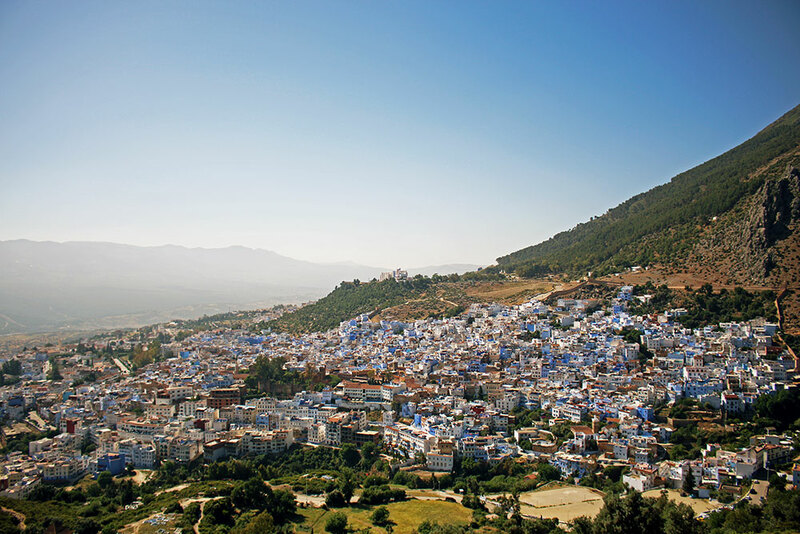 Dusk settling in around the Kasbah in Chefchaouen, northern Morocco. 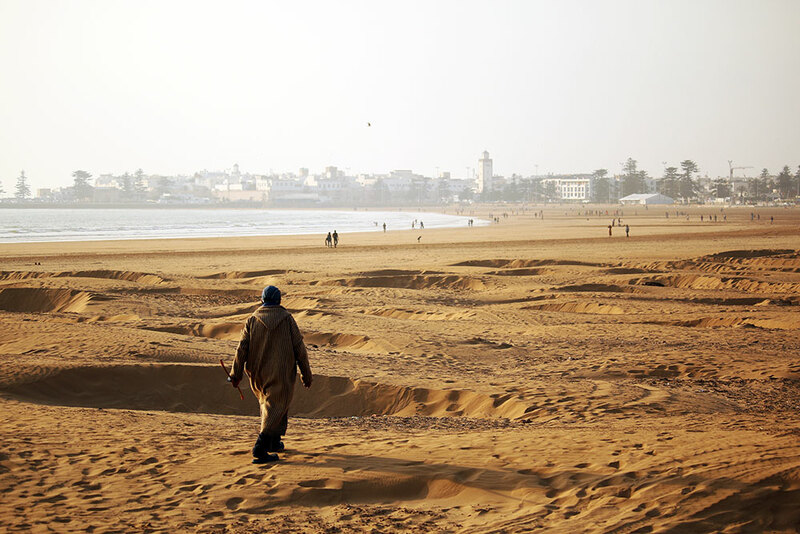 Local man makes his way across the sands of Essaouira beach – Morocco’s kitesurfing mecca. 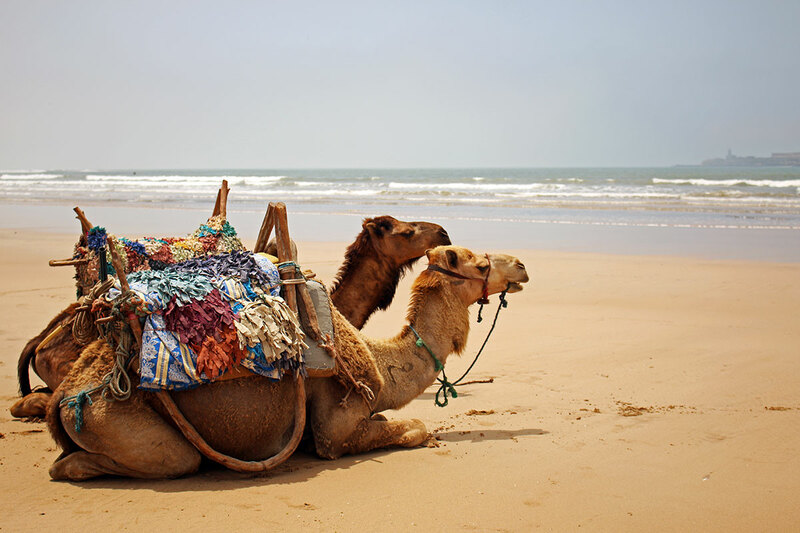 Camels chilling on the beach at Essaouira. 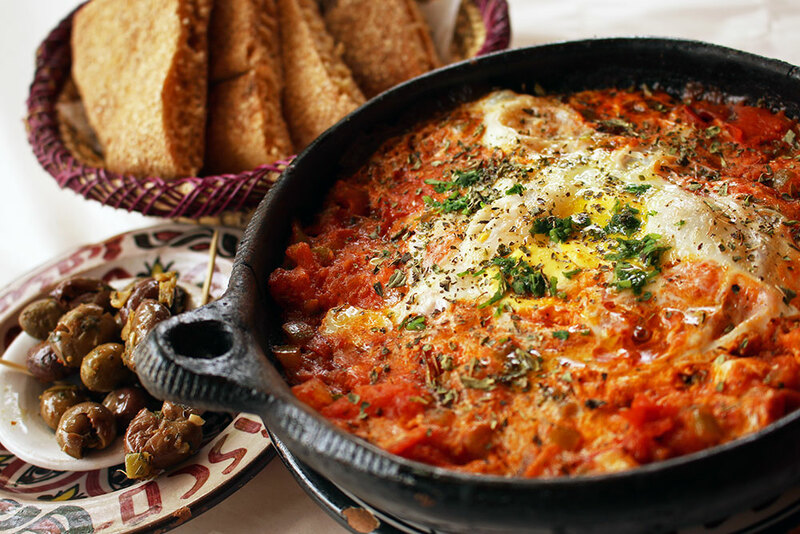 Berber Eggs – one of our favourite dishes in Morocco. 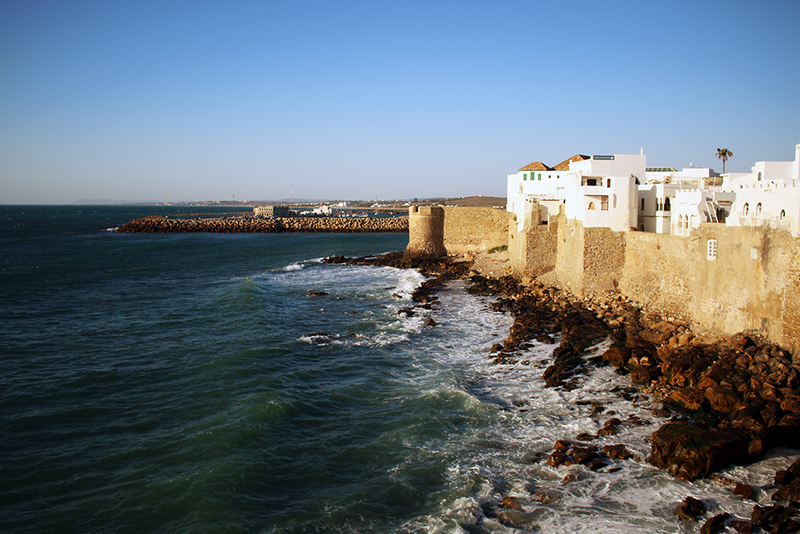 Asilah’s fortified walls are still intact, protecting it from the Atlantic. Views over Chefchaouen and the surrounding Riff Mountains. 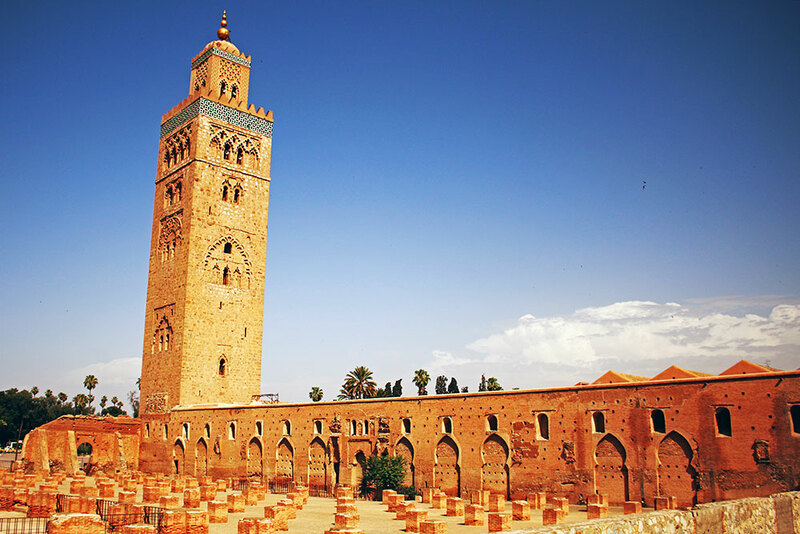 The stunning Koutoubia Mosque in Marrakesh. 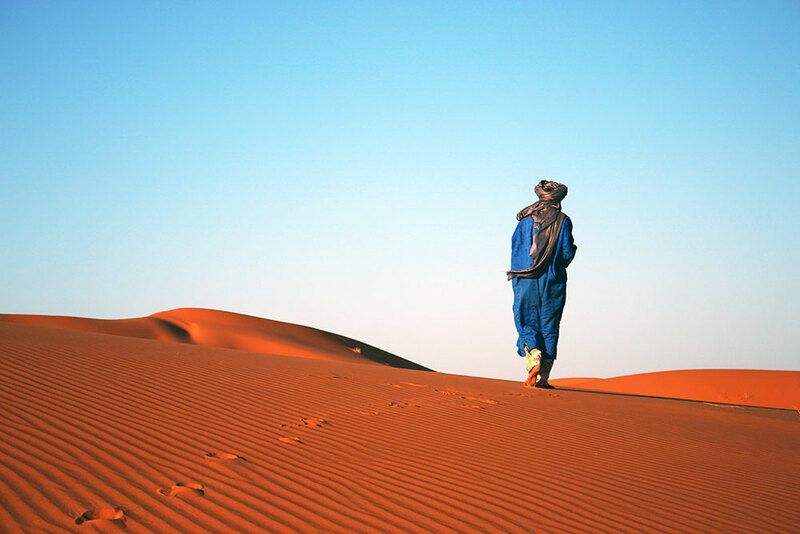 Local Berber man wandering through the Sahara Desert at Erg Chebbi. 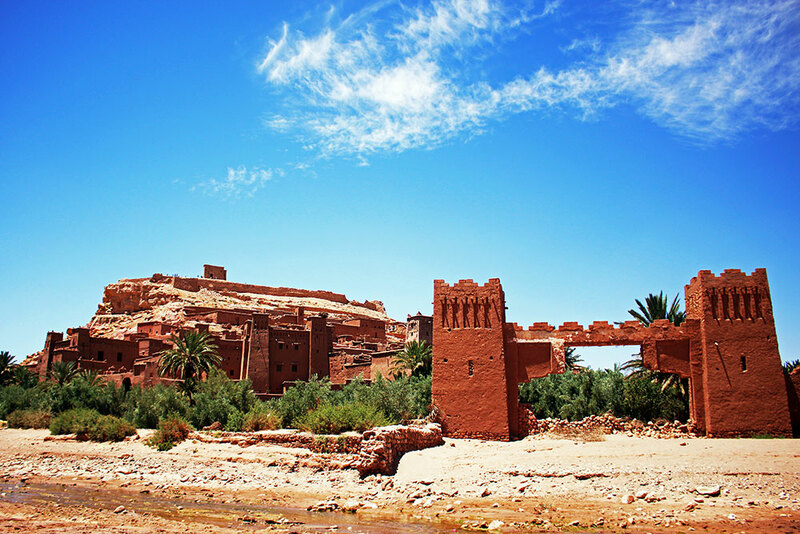 The UNESCO World Heritage Site of Aït-Benhaddou, a mud brick city on the edge of the High Atlas Mountains where numerous movies have been filmed. 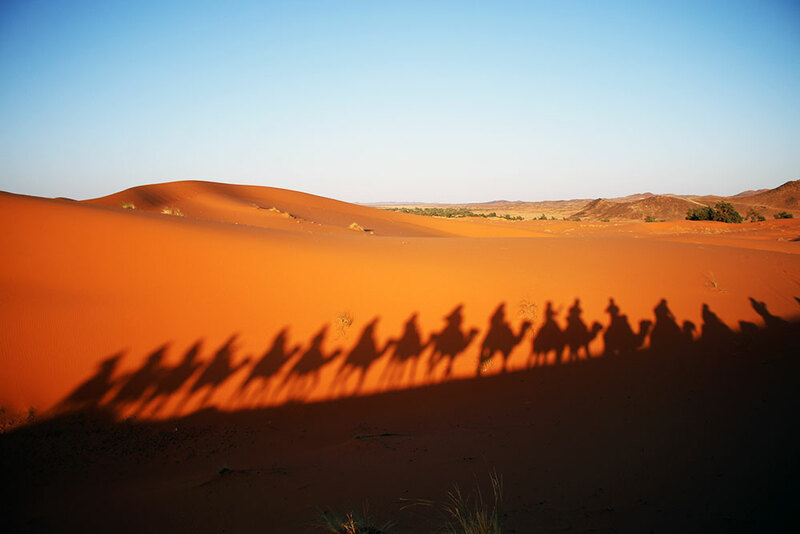 Camel Shadows in the Merzouga Dunes of the Moroccan Sahara. 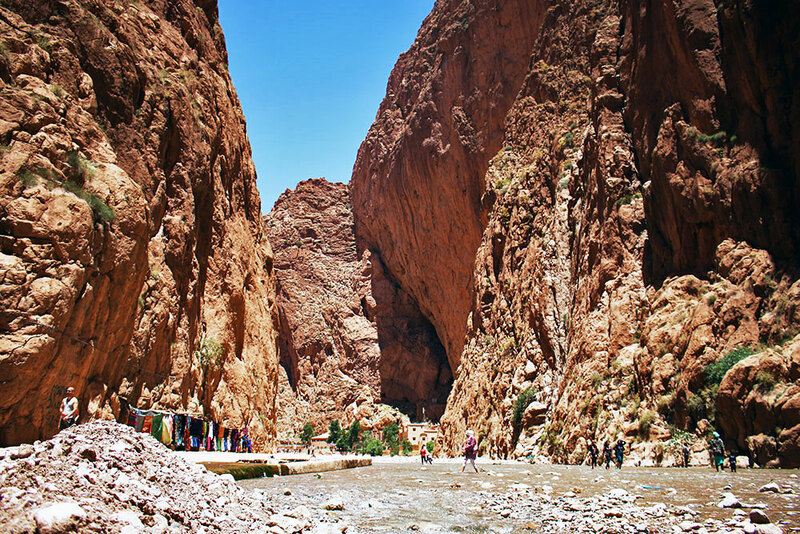 The immense Todgha Gorge, near the town of Tinerhir on the eastern side of the Atlas Mountains. Bizarre landscape of central Morocco – an oasis of green surrounded by barren desert. 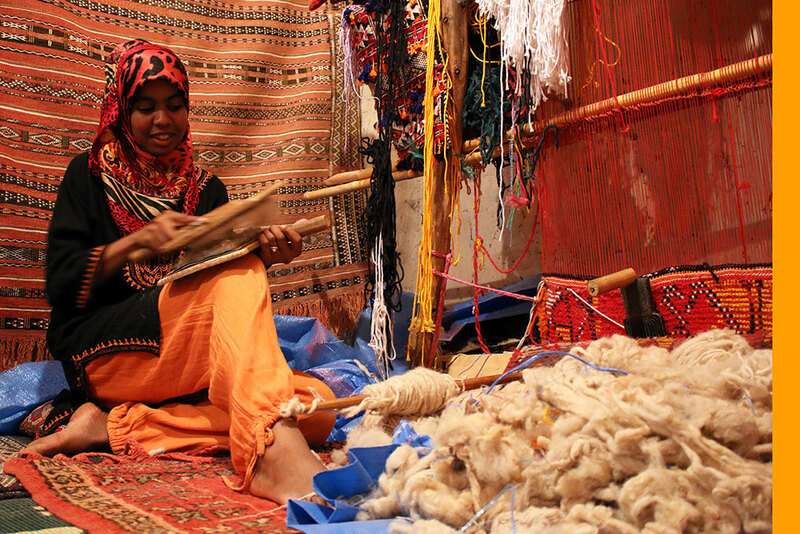 Berber girl weaving carpets by hand. A man washing before prayer at Qaraouine Mosque in Fez. Wow!! These are some truly amazing photos. I’m heading to Morocco in a few weeks and now I’m extra excited. Thanks for the visual inspiration! Thanks a million Allison! Glad you liked the pictures! Have a great time in Morocco! Wow, these photos are amazing – they make me really, really excited for my upcoming trip. Thanks for the visual inspiration! Absolutely stunning photos, every single one. 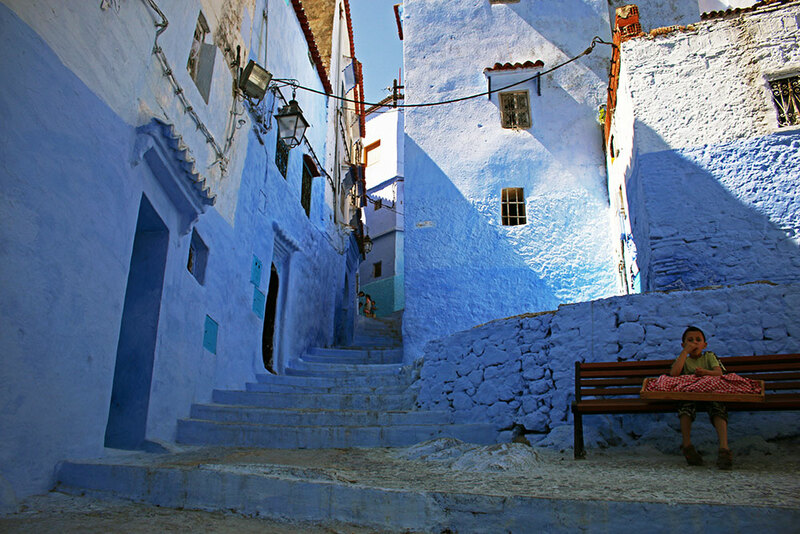 Would love to visit Morocco one day, being a bit of a photographer looks like you are not short of things to capture. Nice job. What kind of camera do you travel around and shoot with? Amazing pictures! Thanks so much. We love taking and sharing our photos! We have a Canon 70D with the kit lens (EF-S 18-55mm) and a telescopic EF-S 55-250mm lens. Amazing photos! The shadows of the camels are perfect. We are currently thinking about heading to Morocco next year and this post might have solidified our plans. Thank you!! So glad you liked this post! 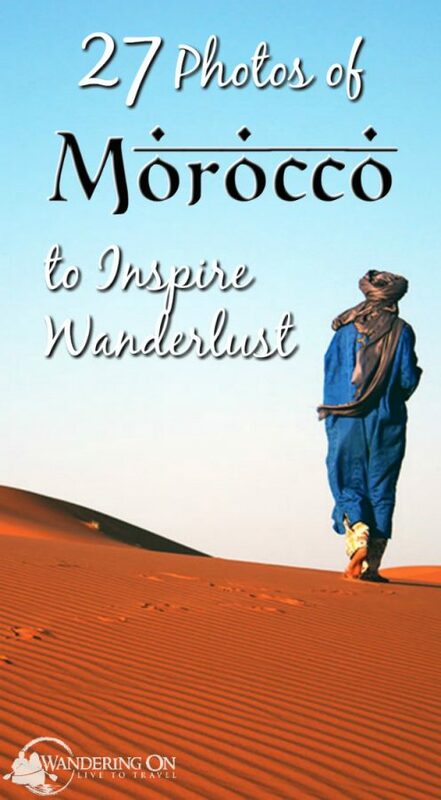 You’ll love Morocco! Amazing post! Thanks a lot for sharing this .I really, really appreciate your time and efforts for writing such article. Hi I am thinking of going to Morocco for a long weekend, would you recommend any groups to travel with as i would be travelling alone. Unfortunately, we always travel independently so we don’t know of any groups like this. 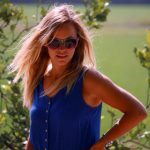 Maybe you could check out some forums online like MeetUp for expat meetings in cities or stay in a hostel and try to meet other solo travellers to buddy up with when you arrive. Airbnb is a great option for accommodation to meet and stay with a local or CouchSurfing is another great option for this. Lovely pictures and great shooting.. love the cats playing shadow game hahaha, just amazing and such pics we can not have them twice..very beautiful desert walking guide too..so authentic. Thank you so much for sharing your amazing pictures! They definitely inspire Wanderlust! Fantastic photos of a beautiful country! 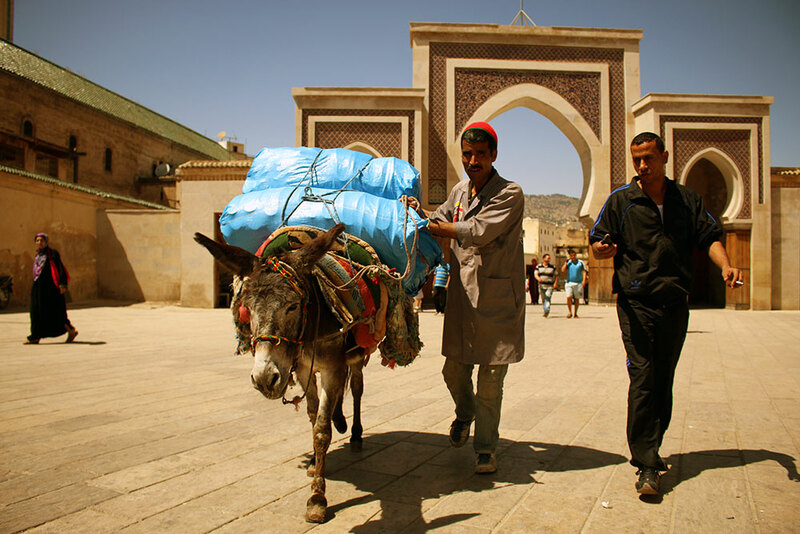 Morocco has so much to experience, and your photos did a great job at showing its diversity. I have some great memories from that country and hope to one day get back for another visit. Cheers! Thanks Kirsten! So happy that you liked our photos! Have just returned after 18 days in Morocco. Wonderful country and so many photographic opportunities. 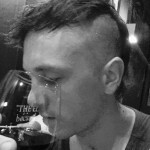 Loved your photos. Loved the country. 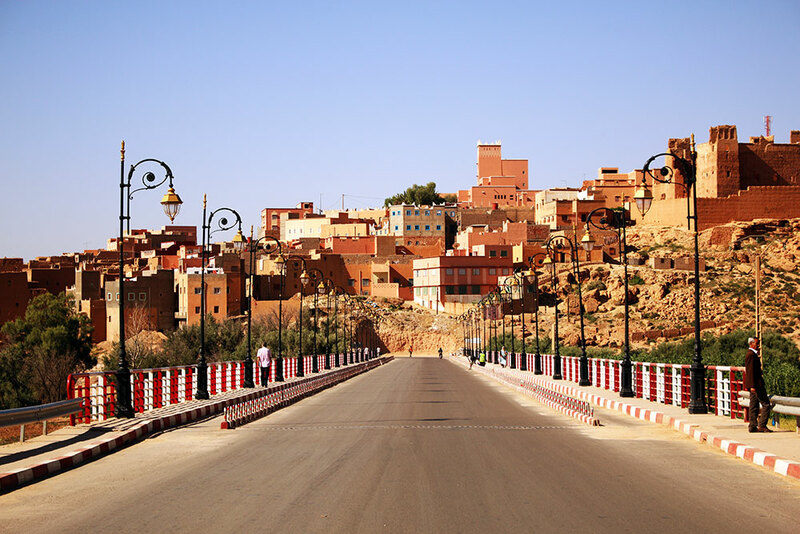 My favorite spots: Essaouira, Marrakesh and Fez for cities and Sahara Desert overnight camping and Todhra Gorge and High Atlas Mountains. I took a Panasonic Lumix camera instead of a DSLR, mainly because it is lighter to carry and less obvious. 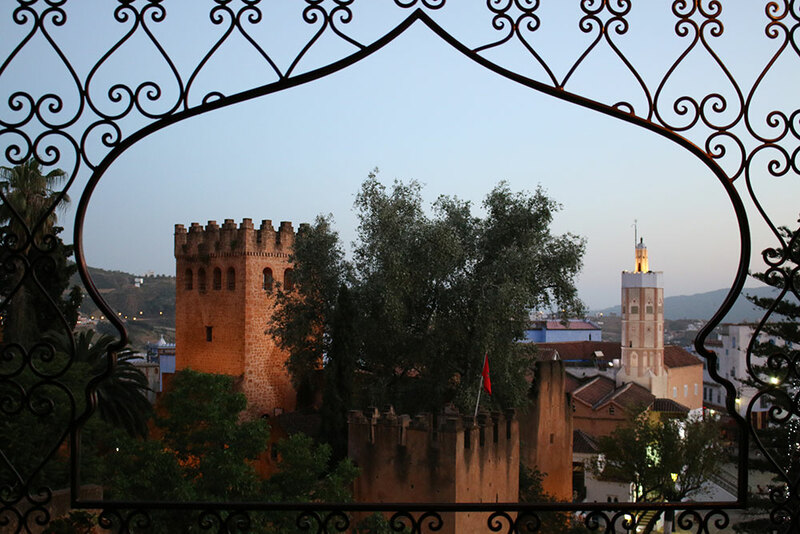 So glad you loved Morocco – it is amazing! We have to agree with you on the favourites. We used to have a Lumix before our current DSLR – they are that bit more compact alright. Great shots, Brian! You really captured the essence of Morocco in them. I can nearly taste the gorgeous colors. 🙂 Just planned a trip there this year and can’t wait to experience it in person. The Hassan II mosque is so beautiful. I love Casablanca.